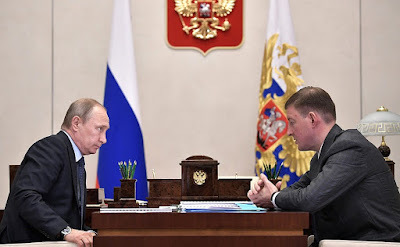 Putin had a meeting with Governor of Pskov Region. 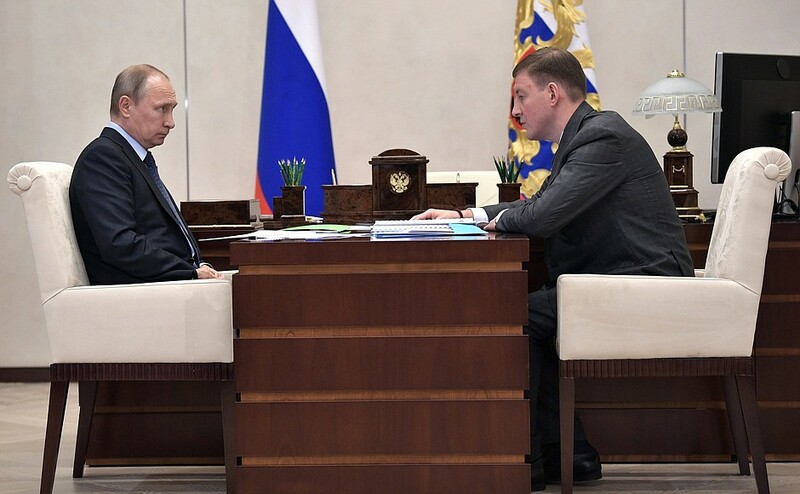 Vladimir Putin had a working meeting with Governor of the Pskov Region Andrei Turchak to discuss the situation in the region in 2016 and the first half of 2017. 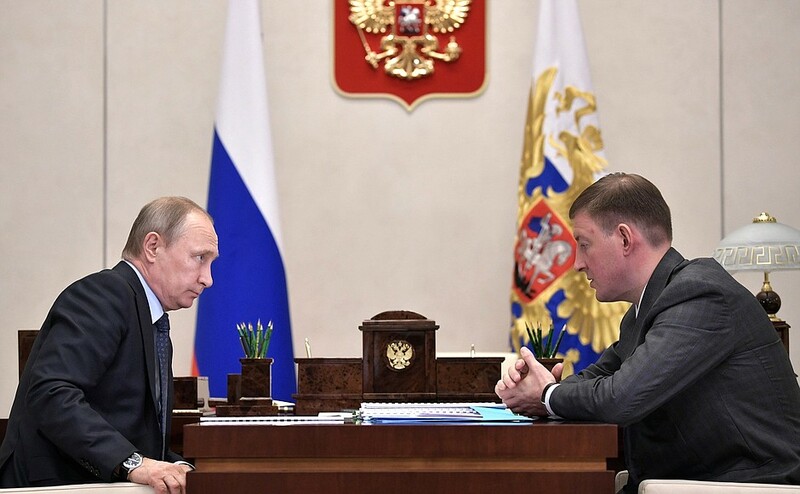 Vladimir Putin with Governor of Pskov Region Andrei Turchak. Mr. Turchak also briefed Russian President on the implementation of the presidential instructions to settle personnel problems in the healthcare sector and relocate people from dilapidated and unsafe housing. Complaints sent in by Pskov Region residents during Direct Line with the President were also discussed. Mr. Turchak, let me start with the traditional question about the situation in the region in general over this last half-year. The situation has been generally stable. Last year and the first half of this year have brought quite good results. Industrial output is showing an upward trend, with an increase of 5 percent, and we have a stable increase of 25 percent in the agriculture sector. We are raising more investment now. Last time we met, I spoke about the project to develop the special economic zone of Moglino. To date, two plants have been built already and production is expected to begin in September. One of the facilities is Finnish, with 100 percent Finnish investment. It will produce industrial paints and varnishes to be used in an aggressive environment, in shipbuilding and bridge construction. The second facility is entirely Russian funded. It is called Sibirsky Gostinets and will produce freeze dried berries and fruits – products for the consumer market. 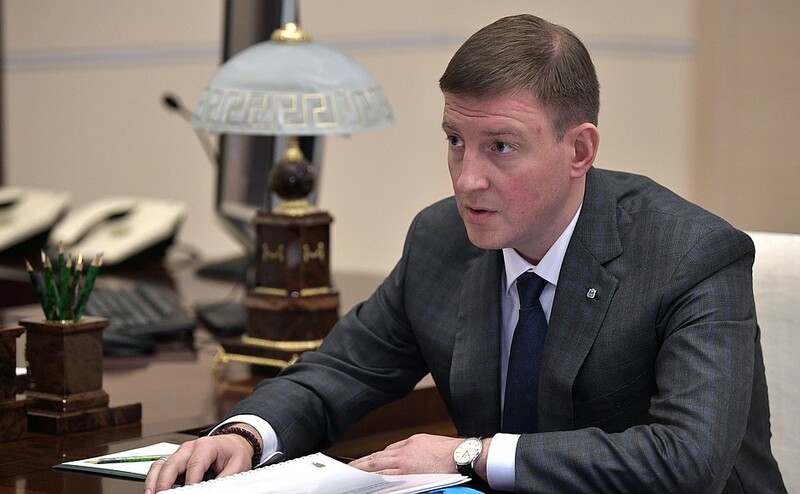 Governor of Pskov Region Andrei Turchak during the meeting with Russian President. Regarding the implementation of your instruction from last year on taking action to address the human resources problems in the healthcare sector, you are aware that we face a serious shortage of specialists in particular areas. We estimate that we need another 450 people here. 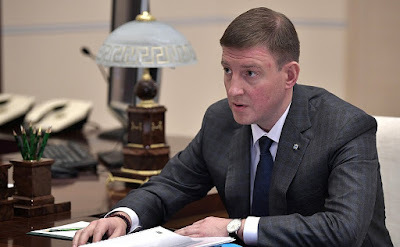 You instructed the Healthcare Ministry and Education Ministry to examine together the possibility of opening a medical faculty at Pskov State University. I can tell you now that this matter has been settled and the faculty has opened and has obtained the necessary license for education activity. The student intake for September includes 40 budget-funded places, as well as fee-paying places. We also agreed to establish a basic training faculty together with St Petersburg Mechnikov State Medical Academy at our regional clinical hospital. This will provide us with around 35–40 specialists a year. The former Sangig [Leningrad Sanitary and Hygienic Medical Institute]? Vladimir Putin had a meeting with Governor of Pskov Region Andrei Turchak. Yes, Sangig – this is the Mechnikov Medical Academy. They offer medical training. The students will follow a module program – six months in St. Petersburg and six months practical training here. We have a return rate of around 70 percent for specialists, and with these new programs I hope that we will succeed in getting more than 90 percent of trained specialists to stay in the region. Regarding the instruction on relocating people from dilapidated housing, the program is due to end in September. We had the task of relocating people from 60,000 square meters of housing. We are absolutely confident that this program will be completed. I want to express my thanks too for the fact that we obtained an additional 340 million rubles in assistance from the Housing and Utilities Sector Reform Fund. This has enabled us to avoid a budget deficit, and your instruction will be completed by September 1. On the question of dilapidated housing, I want to come back to the problems raised by local residents during Direct Line. You will have noted that I have been discussing these issues with your colleagues. Oh, it has become famous, has it? Good. These complaints concern the managing companies and the matter of dilapidated housing. I will not list them all now, you will look at it later. People in some settlements write that this is the most difficult issue they face. I ask you to give this your attention. Then there is the question of local rail passenger routes. This is also the region’s responsibility in large part. I know that this is not a straightforward matter and it is a costly affair, but it is an issue that requires further attention. Among other issues I would like to draw to your attention to some very concrete problems such as wages. Look, there are particular enterprises mentioned here. People have already gone to court. These are debts from past years, old debts, but this is an issue that must be looked into too. There are also very concrete problems concerning real estate. Someone wrote about how they bought a plot of land, completed the necessary formalities, obtained the cadastral documents and necessary permits, and now the prosecutor’s office has claims against them and is trying to evict them, saying that their land is categorized as forest land. But who then issued them the documents? How did they get through the cadastral office’s procedures? Yes. Clearly, it is not the buyer of this land who is at fault. I ask you therefore to look into this. If amendments are needed to the regulations on land use and forest land, I am ready to act at federal level to settle this matter if needed, but I think that you can sort it out at the local level. You must do the utmost to minimize inconvenience for people and not deprive them of their property. And if the officials themselves are responsible for this situation, then this needs to be sorted out. This was all not so long ago, two years ago. There are other matters too. Work on them and then brief me on the situation. Mr. President, we will certainly settle all of the matters that came up regarding the Pskov Region. We have already found solutions to some of them, put them on the register, and each executive body concerned has signed off on their instructions. Everything shall be done.